Earlier this week, Montreal's Bixi bike share program filed for bankruptcy. Now, a reporter closely following that company's sorry financial history says that could have implications for the Bixi-designed software used by many bike share systems in the U.S. In an interview with NPR's Renee Montaigne, Andy Riga—the transportation reporter for the Montreal Gazette—says Bixi's financial troubles stem from loss of control of its software, which led to delays in cities including New York, Chicago, and San Francisco. "If in fact Bixi fails, what does it means to other cities?" Montaigne asked. "Can they survive if Bixi doesn't?" "That's hard to say," Riga responded, saying that there was talk New York and other systems might start over with software. A trip back in time, to the future? Well, sort of. I like the cut of his jib! The Bucket Pannier Kits comes with all the parts to assemble two Kitty Litter Panniers or your Dream Panniers. Just about any box shaped container can be made into a pannier. Full color instructions and as needed parts to mount a handle and bungee top lid retainer. All the parts in the kit are stainless steel or brass for a long life. Soon to be released the deluxe system with Jandd’s Patented Web-V strap and the Uber Bucket Kit featuring the German Module-Loc. 2 Bottom Retainer Strap with grommets. Note: Two average house cats can produce one Kitty Litter Pannier per month. Note 2: Brewskinier is a mix of beer and a pannier. The Santa Barbara experience proved this to be an exceptional tool. Whether going to your boat, work or school your beers are icy cool. The 3 liter cooler pictured was purchased for $19.99. Hey, did you know it's winter? Hey, did you also know that you can make your BMX bike into a snowbike? The Touring Canti is a powerful cantilever brake with a similar design to the Neo-Retro, but with the arms angled upward. This gives the brake a much narrower profile without significantly reducing stopping power. The narrower profile of the Touring Canti can be desirable if you're riding with large panniers or if your current brakes don't give you enough heel or calf clearance. The arms of the Touring Canti are machined from lightweight 6061 aluminum. Their T-shaped cross section prevents the brake from flexing too much under load. The brake pads mount to slots in the arms that allow for vertical positioning. The toe-in and angle can be fine tuned thanks to the spherical washers on the brake pads' threaded posts. Like all of our brakes, the Touring Canti has a sealed pivot mechanism. Rubber seals and a stainless steel bushing keep the brake arms turning smoothly no matter what you're riding through. The spring tension can be adjusted in both pivots to center the brake and to adjust the strength of the return swing. The Touring Canti comes with pivots pre-greased and with all necessary hardware. Like most of our components, the Touring Canti is available with a black or silver anodization. Additionally, we offer a polished version with a mirror finish. We recommend running the Touring Canti with a lower straddle wire to maximize stopping power. Having the cable carrier between 1" inches and 2" above the tire is a good range. Please note that all of our brakes at Paul Component Engineering are sold per wheel. Mountain bikes are awesome. I even think that they're awesome when used as commuters or touring bikes. One problem: manufacturer's include suspension-corrected forks so the frames are compatible with standard travel suspension forks. This is all well and good until a person wants to mount fenders. The front fender sits way up off the tire, rendering it nearly useles. 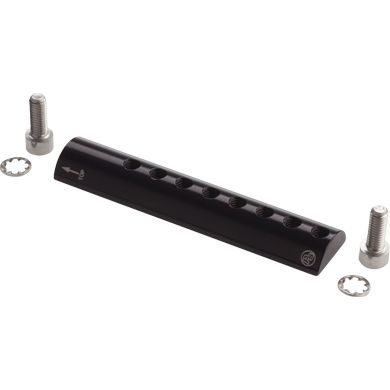 The Fender Flute won't drive the rats out of Hamelin, but it will provide a lower mounting position for the front fender, allowing for better, more effective performance. It’s the last thing you would expect to hear at the Detroit Auto Show from the CEO of Ford Motor Company. But last week, Ford’s Alan Mulally showed some ambivalence about the role of cars in major cities. 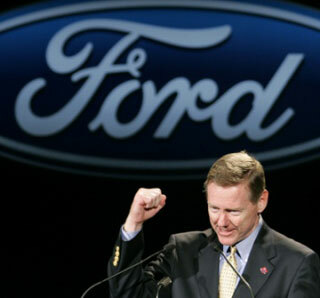 Mulally said Ford has been trying to adapt to changing consumer preferences since the Great Recession. Americans have been trading giant SUVs for smaller cars. Young people have been purchasing fewer cars altogether, a phenomenon Mulally said might be reversed by cheaper cars. But he also said he wasn’t sure what role Ford would play in the future of transportation in big cities. According to the Financial Times, Mulally said that adding more cars in urban environments is “not going to work” and that he was interested in developments in “personal mobility” and “quality of life.” Then he seemed to indicate Ford is interested in getting into transit, car sharing, or other models that don’t align with private car ownership. The question now is whether this is the beginning of the end for the bike-sharing experiments that have spread quickly across the U.S. So far, officials from various bike-sharing programs are saying no. This is a poor way to frame the issue, for a few reasons. While Bixi is the dominant supplier in the American bike-share market, it is far from the only one. Medium-sized systems in Denver, Miami Beach, and Austin use equipment from other companies, so the Bixi bankruptcy doesn’t affect all U.S. bike-share systems. A bicycle cooperative on Columbus' Near East Side not only promotes alternatives to automotive transportation, but also provides affordable access to bikes and the know-how to keep the wheels turning. For a little more than a year, Third Hand Bicycle Cooperative, a volunteer-run nonprofit, has maintained a not-so-ordinary bike shop at 979 E. Fifth Ave., in the Milo Grogan neighborhood of Columbus. There, customers can find a wealth of used bikes in various states of repair and function. The median sales price is $30, and those who volunteer can earn discounts on bikes and bike parts. They also can learn how to get and keep their rides street-worthy from an impassioned group of volunteer "coordinators," who teach and assist in bike maintenance during "open shop sessions" held each Wednesday from 6 to 9 p.m. and Saturdays from 1 to 4 p.m. The co-op, which evolved from gatherings of bike enthusiasts in home garages almost 15 years ago, seeks to promote cycling as safe and environmentally responsible transportation. Its members also provide fellow volunteers and customers with facilities, tools and informal bike repair training to help make cycling an essential part of their everyday lives -- which is appropriate, because bikes purchased there are the only mode of transportation for some. "I would get people that would come in and buy a bike because they were tired of walking to work," said Heather Pirrone, a Third Hand Bike coordinator who lives in the Sharon Woods neighborhood of Columbus. "We really are looking to give these people sustainable transportation." Third Hand currently has about 10 stations where cyclists can repair or customize their bikes, and where volunteers can strip used bikes of functioning parts to be resold at discount prices. Although the co-op receives some grant funding from various sources, expenses such as rent and utilities for the roughly 4,000-square-foot space primarily are paid for through donated bikes, which are sold "as-is" to customers. "The objectives are to promote cycling to get more bikes on the road, and to give an alternative to regular bike shops, which a lot of people can't afford," said Matt Dickinson, an Upper Arlington resident who serves as a co-op coordinator and quasi-trustee. "It's totally self-sufficient. "Everyone does their own work with help from knowledgeable volunteers, as needed. We don't fix bikes for people, but we show them how to do it." Coordinator Reda Ashur of Olde Towne East in Columbus said the co-op tries to be inviting to people of all walks of life. Elevated cycle track network - Netherlands 1950s. There's been a bit of chatter of late about a (not very) new idea for bicycle "infrastructure" in London. None other than architect Norman Robert Foster, Lord Foster of Thames Bank, OM Kt, has dusted off a student's idea and launched it upon an unsuspecting world. OTTAWA — The bankruptcy protection filing of the Canadian company that has supplied the bicycles and the technology behind most of the bike-sharing programs in major American cities is revealing a complicated and messy financial foundation. No one anticipates that systems like Chicago’s Divvy or New York’s Citi Bike will collapse because of Monday’s filing by the Société de Vélo en Libre-Service, a company usually called Bixi. But its roots inside Montreal’s municipal parking authority led to the creation of a company whose product, while quickly proving popular with riders, was doomed never to make money. Court documents and interviews with suppliers, customers and politicians show that Bixi’s acumen with technology and design has been undermined by an often ad hoc approach to business and a lack of a clear mandate. One of the Bixi mysteries is its relationship with its agent in the United States. Unlike the three Canadian cities with Bixi systems, Ottawa, Toronto and Montreal, American municipalities have generally not dealt directly with the Canadian company. Instead, Alta Bike Share, a relatively small company in Portland, Ore., sells the Bixi system and operates it. Michel Philibert, the acting chief executive of Bixi, declined to discuss the relationship between the two companies, citing contract confidentiality. In court filings, however, Bixi has repeatedly described Alta as a “partner.” Officials at Alta and its parent company, Alta Planning & Design, did not respond to several interview requests about its contractual relationship with Bixi. Porcelain Rocket is a constant desire to be making and giving form to function. Exploration and adventure. Dynasties and Empires lusted and searched the planet for the secrets of porcelain, and the rocket is as universal a symbol for exploration and playful, imaginative adventure as one can conjure. My name is Scott Felter. 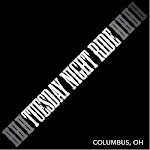 I was born in New Orleans, and have lived all across North America, riding and making. I now call Calgary, Alberta my home. If something that you find here takes your fancy, drop me a line! OTTAWA — The Canadian company that designs and builds the bicycles and supporting technology for bike-sharing systems around the world, including those in New York and London, sought bankruptcy protection on Monday. Denis Coderre, the mayor of Montreal, told reporters that a failed, if ambitious, international expansion plan and a financial dispute with some United States cities, including New York, had forced the move by Société de Vélo en Libre-Service, a nonprofit company, better known as Bixi. The move will allow the company, which was spun off from the city of Montreal, to continue to operate in the short term. But untangling the financial and legal mess surrounding its operations will most likely be a more protracted business. Bixi’s financial statements from 2012 have still not been released. In September, the city of Montreal’s auditor general expressed doubt about its financial viability. On Jan. 15, Montreal demanded that Bixi make a long overdue 31.6 million Canadian dollar ($29 million) payment on a 37 million dollar loan from the city. The city has also guaranteed a 6.4 million Canadian dollar bank line of credit, and Bixi owes suppliers about 9 million Canadian dollars. Mr. Coderre, who recently took office, said that the city had no choice but to press Bixi for payment. “It is not up to taxpayers to assume the financial risk involving a business plan,” he told a news conference. The city is giving the company an additional 1.5 million Canadian dollars to allow operations to continue. When the former mayor, Gérald Tremblay, who left office in 2012 because of a corruption scandal, presided over the start of Bixi in 2009, international sales were supposed to finance the system. The opposite proved to be true. Its system distinguished itself from earlier bicycle-sharing systems by usingsolar power and docking stations that relied on wireless networks for communications. That allows them to be easily lifted onto trucks and moved without connecting utilities. The aluminum bicycles, also designed in Quebec, proved to be exceptionally robust, although the city’s auditor and others say they are too expensive. 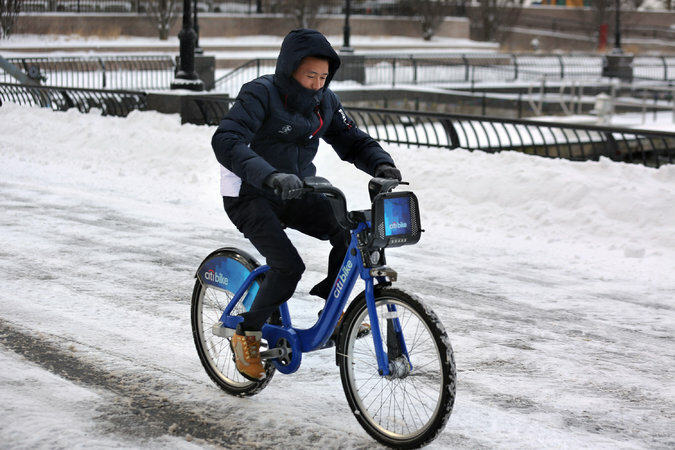 In addition to New York, Bixi systems have been installed in Washington; Boston; Chicago; Minneapolis; the region around San Francisco; Aspen, Colo.; Chattanooga, Tenn.; and Columbus, Ohio. Except for Montreal, Ottawa and Toronto, where Bixi is also in financial trouble, Bixi does not operate those systems. Alta Bicycle Share, which operates the system in New York and several other places, did not respond to requests for comment. A message on its telephone answering system said the company was looking for a permanent head office site in Portland, Ore.
A dispute over software updates, Montreal said on Monday, has caused New York and Chicago to withhold payments totaling 5.6 million Canadian dollars. Convoy of One from The Republic of Doom on Vimeo. In late 2013 this mass die-in took place outside the TFL headquarters to protest the spate of deaths and injuries to London cyclists. This deathly pyramid of transport violence demands the creation of an urgent direct-action but peaceful human-rights movement. I want to be up front and say that I really like racing cyclocross. There is something super fun about a crit on grass and turning yourself inside out for 45 minutes. Skinny tires on dirt, fast speeds, mud, snow, puke…it’s pure awesome. But I did my last cross race 7 years ago, and it left a pretty bad taste in my mouth. It was perfect cross weather in upstate New York. It had rained for most of the day prior, and now it was starting to snow. I toe the line for the also-ran category in typical DC form. Still a little drunk from the night before, a singlespeed, and wearing a wifebeater. I was feeling frisky so I worked my way to the front to see if I could have some fun with the hole-shot. Just then, everybody’s favorite USA Cycling official tells me I’m not racing due to a rules violation. Confused I inquire: ”Excuse me, sir. There is nothing in the rules that says I have to be sober. Besides this is cyclocross!” He then informs me the rules clearly state that I must have sleeves in order to race and my wifebeater doesn’t have any. Here's an excellent feature from the Winter 2014 edition of Rails to Trails magazine. One of many perks provided by RTC membership, our quarterly magazine includes lots of great stories like this. The Florida Keys Overseas Heritage Trail is a work in progress. Before you go, get the latest information about the trail route and points of interest by visiting the Florida State Parks website or the trail info page on Trail link. Astrid Idlewild points us to an intriguing debate in Toronto that doesn't involve Rob Ford. After about a year and a half of deliberation, the city's Transportation Services division has emerged with a definition of a "bicycle." The civic authority's original intent was to clarify which travelers belong in the bike lane, and which don't. Evidently that's not such an easy task. Obviously human-powered bicycles belong in the lanes, but Transportation Services has recommended that small electric-powered vehicles have a place there, too [PDF]. These include so-called "pedelecs" — otherwise known as electric bicycles — as well as e-scooters.